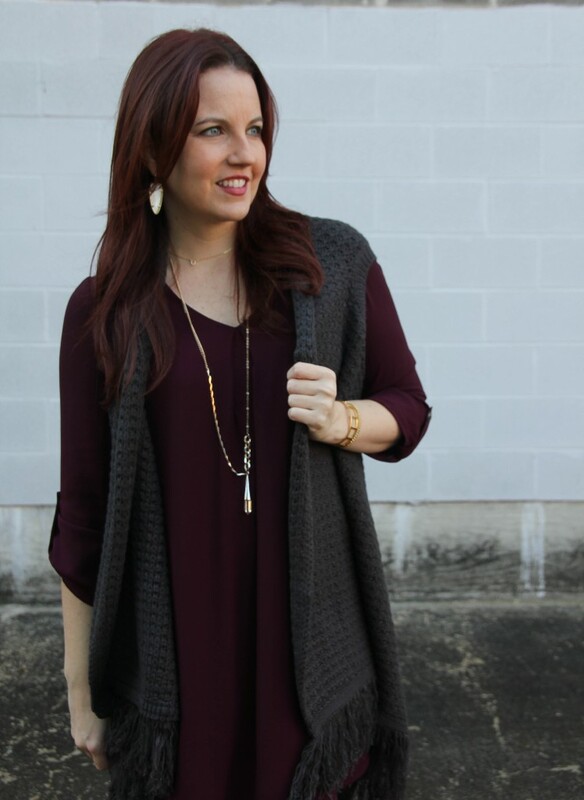 This dress color with the vest are such a lovely combo! What a great look and super comfy!! Love it! Gorgeous look! 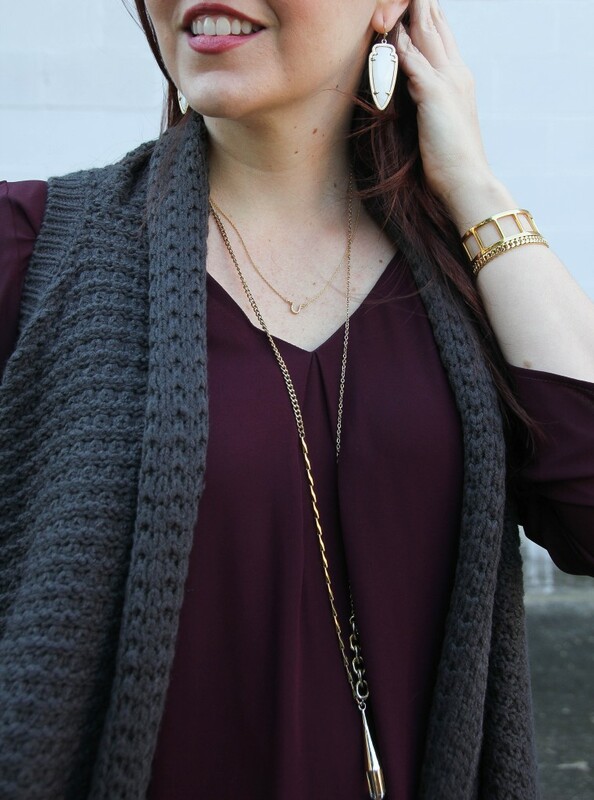 Loving that long, cozy scarf! That dress is so beautiful!! I love that color! Love this! Lately I’ve been wearing flowy boho dresses and otk boots a lot so this is right up my alley. 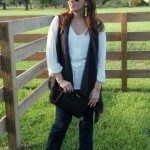 The vest is great…so many styling options! Love this look! 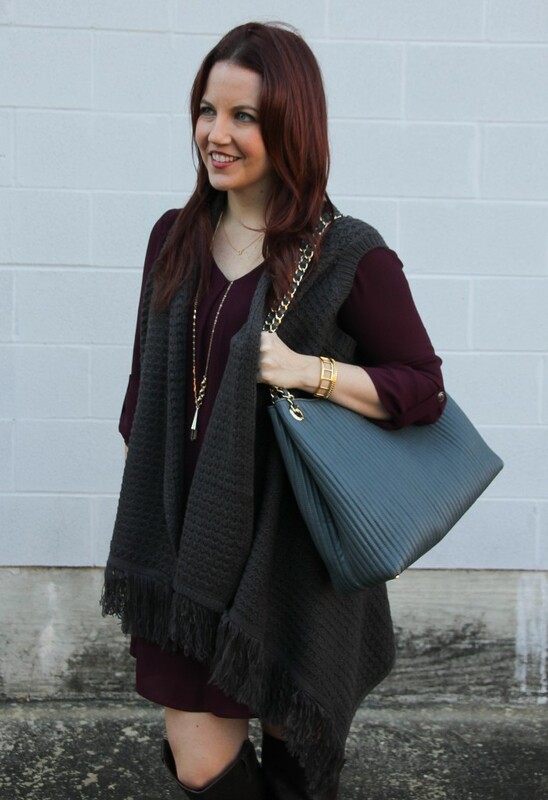 The sweater vest almost reminds me of a scarf, and it looks so cute paired with the dress underneath. I love that outfit! Totally my style.. the vest is awesome! Have a great Monday!